Emissions laws have all but wiped out the two-stroke engine, but you can still buy an older machine to get your fix of blue smoke and a ring-a-ding soundtrack. The Aprilia RS125 is likely to be a future classic, made between 1995 and 2011 and coveted by a whole generation of learner riders. The Aprilia RS125 makes up for its learner-friendly 15bhp by being one of the best handling bikes on the planet. Post-2006 examples like this one also had beefier forks and a radial front caliper to boost the braking and handling even further. The Aprilia RS125 looks like a much bigger bike, a big plus when you’re on a restricted licence. These aren’t cheap to buy or run, and make sure you factor in the cost of two-stroke oil before you take the plunge. "This absolutely stunning, two-owner example of an awesome 125cc two-stroke, learner-legal race rep has just 439 miles on the clock. "It looks brilliant in black livery and comes with owner’s manual, service book, up to date service and MOT until March 2019." 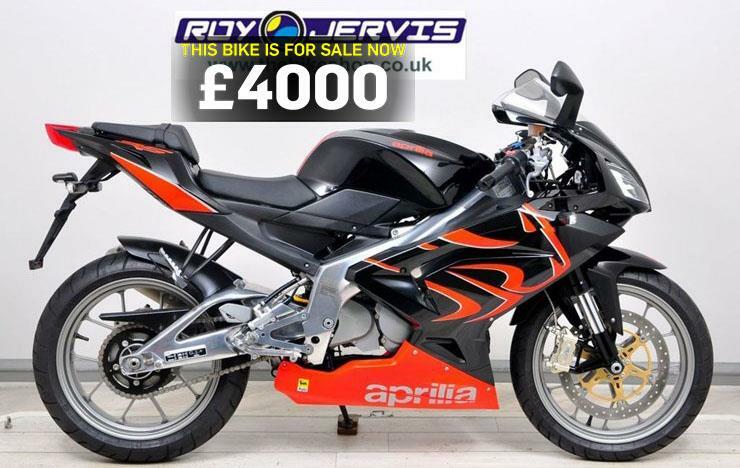 Find an Aprilia RS125 for sale.